In 1941, for the first time ever... Perris Hill Park was looking at being more than just a Spring Time home for professional baseball. 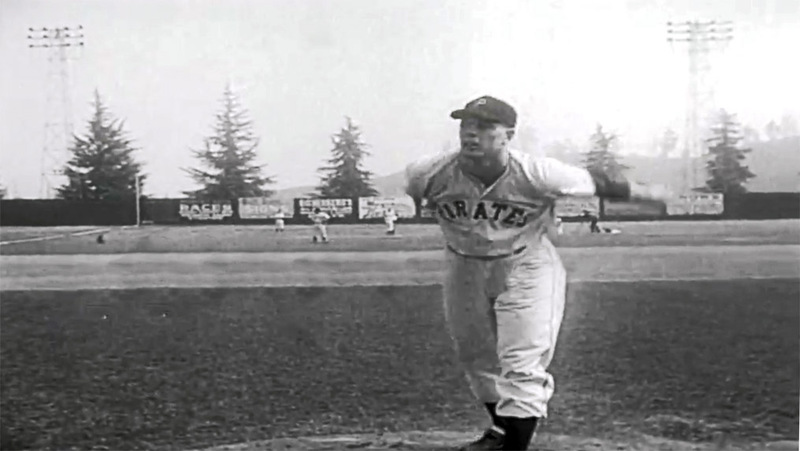 Up until this point, when the Pirates made their way across America and back to Pennsylvania... this ballpark would close up shop and simply be a home for amateur play. In 1941 however... the California League decided to try putting a full time team here. After Arky Vaughan and Al Lopez left for Forbes Field, the brand new San Bernardino Stars took to the field. The Stars were an excellent team, under the umbrella of their new affiliation, the New York Giants. The franchise featured 2 future Major Leaguers in Rex Cecil (19-14, 3.50) and Marv Grissom (2-4, 4.67). Manny Perez meanwhile put up a 24-8, 1.86 record while Bill Garbe was solid at the plate batting .359.